Dave Farland’s moving masterpiece echoes the drama of Gone with the Wind and the glory of Ghandi, sweeping from the green fields of Denmark to the icy peaks of the Rockies in a saga that elevates and enriches those that it touches. In the Company of Angels centers on Eliza Gadd, the feisty, sophisticated wife of a Mormon Bishop. 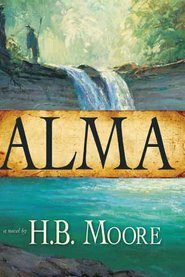 When her husband answers his leader’s call to abandon his cottage in England and settle in the Rocky Mountains, Eliza’s world comes apart. 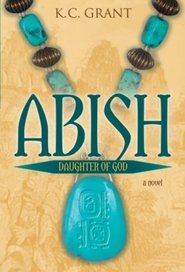 She may help her husband pull a handcart with everything they own across the plains of Utah, but she won’t bring herself to bow to a god she doesn’t believe in. 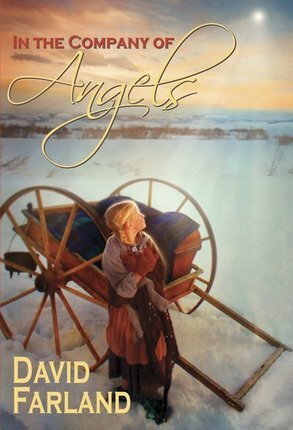 Based on the true story of the Willie Handcart Company of 1856, In the Company of Angels unfold the triumphant tale of pioneers who struggle against unendurable hardships persecution, buffalo stampedes, rampaging Indians, lingering starvations and the early of onset of the coldest winter in the US history to find the gentle homeland of the soul. Dave Wolverton (born 1957) is a science fiction author who also goes under the pseudonym David Farland for his fantasy works. He currently lives in St. George, Utah with his wife and five children. When you take real people and put fictional events in their lives what you have is nothing more than gossip. It is hurtful.I Would recommend other books that give an accurate account of the handcart pioneers. So much is known through their personal histories that to make up events about their lives is not appropriate. In the Company of Angels by David Farland is excellent on many levels. Farland has carefully researched the eyewitness accounts, actual locations, and plentiful scholarship about the Willie Handcart Company to create a fascinating account of this complex event in our country's history. The characters are portrayed honestly as real human beings, allowing the reader to empathize more fully with their situations. The novel flows beautifully as the story is told from the point of view of several of the actual participants. 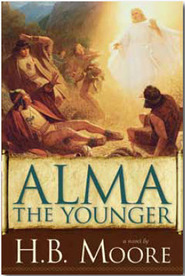 I would recommend this novel to anyone interested in U.S. or LDS history. It is an inspiring and very remarkable work of literature. I want my grandchildren to read this book! As a reader who has read a couple of David Farland’s various publications, I was interested to see how he’d handle the LDS genre. From the first pages I was pulled into this novel. The depth of characterization and the scope of the story had me re-thinking generalizations I had made of those pioneers who made the choice to leave so late in the season and attempt the trek across the plains against all odds. I love how the author brought the historical figures to life. 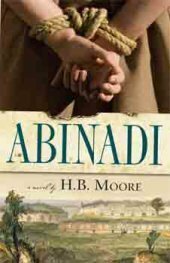 Some historical novelists shy away from being so direct, writing about family or friends who were acquainted with the historical figure. In this manner, the reader is kept at arms-length from the story. But I really appreciated Farland’s human study, the chance to see and experience emotions from the historical figure's viewpoint, and essentially liken the character more closely to myself. 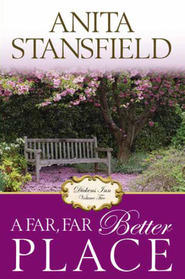 Farland’s insights are fascinating, thought-provoking, and at times even uncomfortable—like all truth. But it made me think, consider, and turn to the stories of my own ancestors to study the well of faith and devotion they had. The sacrifices these people made reminded me of the blessings that I have today, and urged me to never forget. What would I do in this situation, I asked myself many times. How would I handle such severe trials? This story affected me in ways that I didn’t expect, and I’m truly grateful for the time and energy Farland put into creating this fascinating novel. Farland manages to take real people from history, a very difficult situation, and tell it in a way that's true to what happened as well as helping modern-day readers "get" it. The book doesn't sugar-coat the trials and sufferings of the handcart pioneers. It doesn't ignore the controversial aspects of the trek, but at the same time, by the end, the reader can't help but see God's hand in every footstep and rejoice in the prophet and the leaders of the Church and the stand in awe of people who went through such an ordeal. To be able to pull all that off in a novel? Farland is truly amazing. Wow. Having experienced 'walking in their' footsteps many times and having studied personal biographies for over 10 years, I find the author has not given an accurate account of the Willie Handcart Company and is pushing a 'sick agenda' relating to cannibalism and polygamy. I could not get through the second chapter. I felt the book to be very dark and I am sickened by what can be sold in the name of truth. I know many descendants of these pioneers and I have witnessed first hand the incredible testimony building that their stories bring to our youth today. Miracles happened...Heavenly Father was aware of them and their circumstances, and those who have experienced this firsthand know and understand that their lives were consecrated to a higher purpose. President Hinckley and Sister Hinckley loved these pioneers, as well as many of the apostles, and spoke often of their heroic stories.It leaves the reader to believe that these people did not value human life and would desecrate bodies in sickening, horrific ways. If it so be then why do we have grave sites in Wyoming? This was not the Donner party...maybe the author is confused. READER BEWARE, this is fiction and many parts of the book are entirely without any basis! Sickens me to think that actual truth can be so twisted! How hurtful to descendants of these great people, who gave there all for the gospel sake and sacrificed everything...the truth would have had a much greater impact on the reader than the grotesque garbage written about by this author. It is unconscionable! It is completely full of lies and the spirit testifies to it. The Prophet Joseph Smith said that we should seek for anything virtuous, lovely or of good report...you won't find it here! After reading other books on the subject, this one misses the mark. I do not like the way that it uses actual pioneer names with fictitious stories and this could lead people to believe that the events in the book really happened. These great people deserve more and should not be misportrayed in this way. It is not fair to their descendants. Based on the true story of the Willie Handcart Company, David Farland has beautifully captured the trials, fears and hopes of these pioneers. 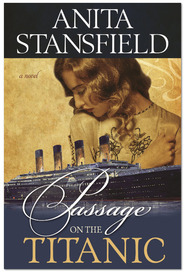 He seamlessly pieces the thoughts and actions of the feisty Eliza Gadd, Captain James G. Willie and young Baline Mortensen into a compelling story that’s hard to put down.